The Dingle peninsula is well known as a summer holiday destination, but it is beautiful any time of year. The North Kerry part of Dingle runs from Tralee to Tarbert Town and has its own attractions. The panoramic views in this part of Ireland are so incredible that they seem surreal, but real they are. A few very famous films were shot on Dingle for its pure, wild beauty. 'Ryan's Daughter' and 'Far and Away' were both hailed for their cinematography because of their location on the Dingle peninsula. Decades later, these films are still well known by the public. The west peninsula contains the Ballybunion Golf Course, which can be played for several months of the year. The Cashen course was designed by Robert Trent Jones, Sr. and opened in 1982. After kudos from Tom Watson, it was hailed by golfers around the world as a major stop on a grand golf tour. The far western end of the peninsula is still an Irish-speaking area referred to as the Gaeltachts. Summer courses here offer young students the chance to learn about the Irish language and the cultural heritage of Ireland. Irish traditional music and dance lure others here in droves. The Gallarus Oratory, or chapel, has been the subject of many TV documentaries and dates back to somewhere between the sixth and twelfth centuries. It's old, whatever age it is, and was only discovered by the outer world in 1758. No mortar is visible from the outside, which is an architectural feat. It sits about four miles northwest of the town of Dingle. Tralee, meaning 'strand of the Lee River,' is the largest town in County Kerry. With a population of almost 23,700, it has a variety of attractions. History buffs would certainly enjoy the Tralee Heritage Trail, a walking tour of the town that includes sites dating back to 1450. The whole family will enjoy the Aqua Dome in Tralee, an indoor water park with slides and rapids and the like. Adults may prefer the saunas, steam room or cool pool. An indoor game room and cafe are nice transitions back to the dry world. 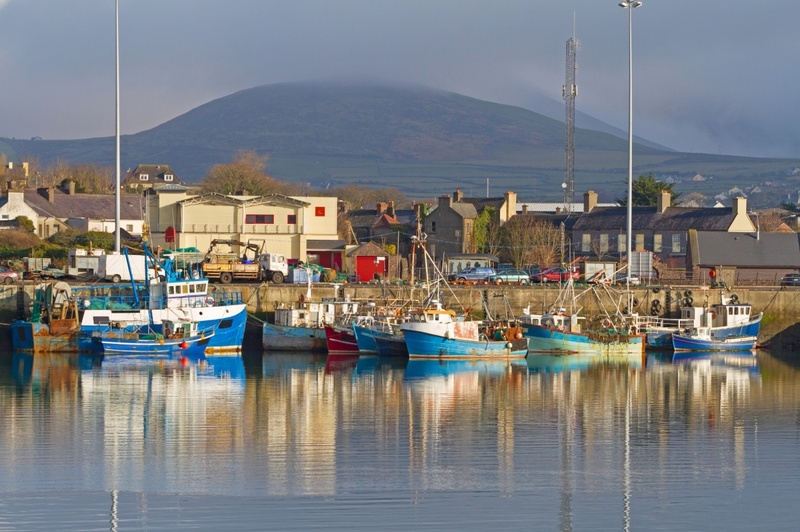 Any location in Tralee and the Dingle peninsula will suit all visitors for scenic vistas and Irish traditions. Fine dining and pub fare is delicious, and Tralee has plenty of shopping possibilities. There is every reason to see this outstanding Irish treasure. Find information about selected Hotels, apartments and rooms at Dingle & North Kerry to choose the perfect place for your accommodation.